Spring Break Workshops are here! Spring Break is upon us, and we have some workshops to offer tweens and teens! 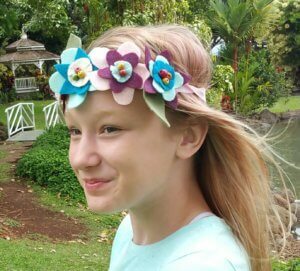 The first is a felt flower crown workshop, bringing a touch of Swedish midsummer to Maui. The second workshop is a beginner sewing workshop, to learn all about the sewing machine, along with basic skills to get started sewing! After practicing their new skills, the students will make a simple sewing project to take home. 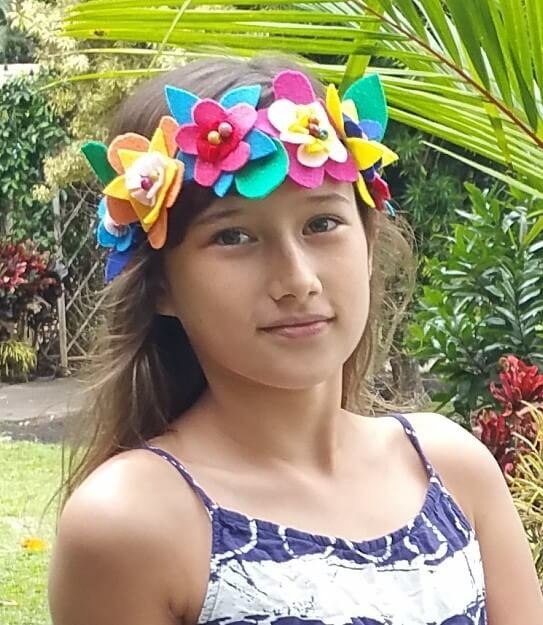 Mahalo to our models Cienna and Teela! 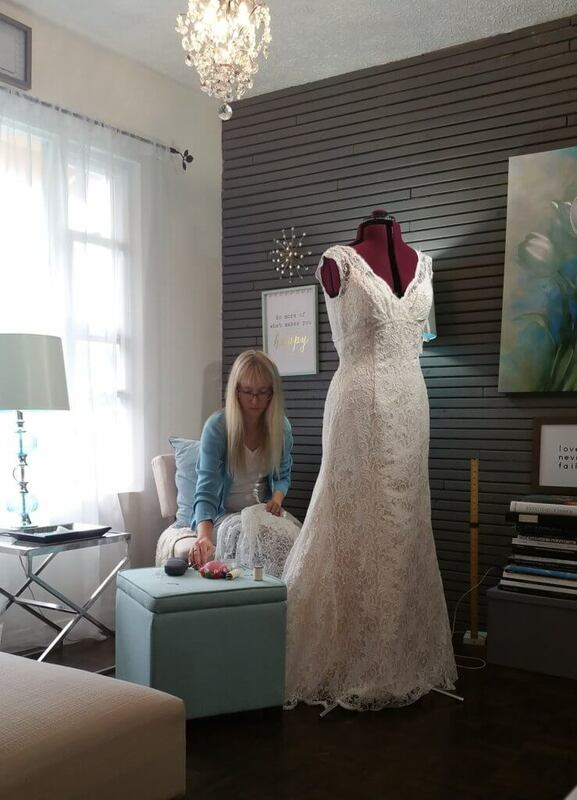 Time to bustle a wedding gown! 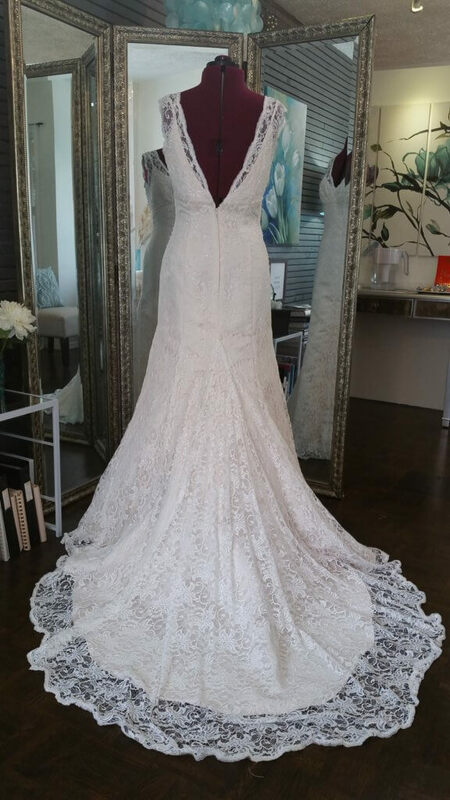 Every gown is different, and there are so many ways to go about it. Why bustle a wedding dress? To get the train off the ground for the reception so the bride can dance and no one will step on the gown. 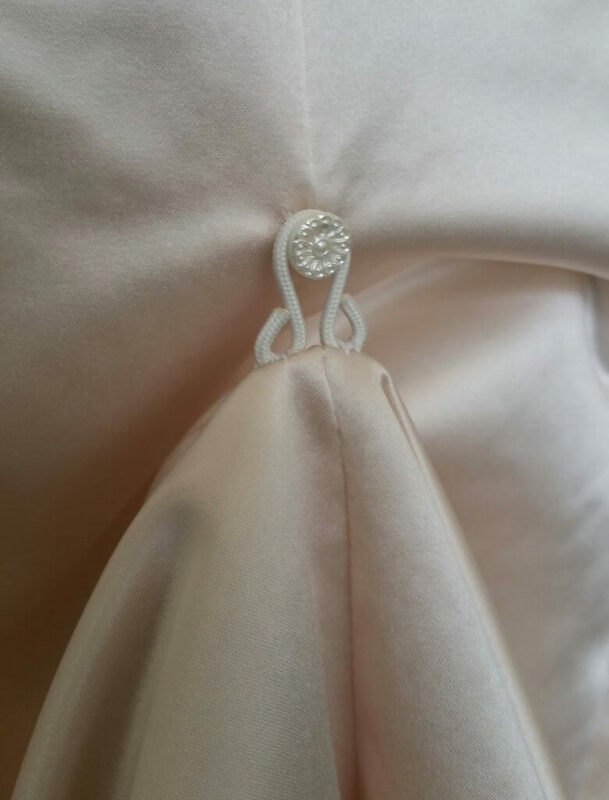 This gown will have a 3-point English bustle on the outside of the dress. 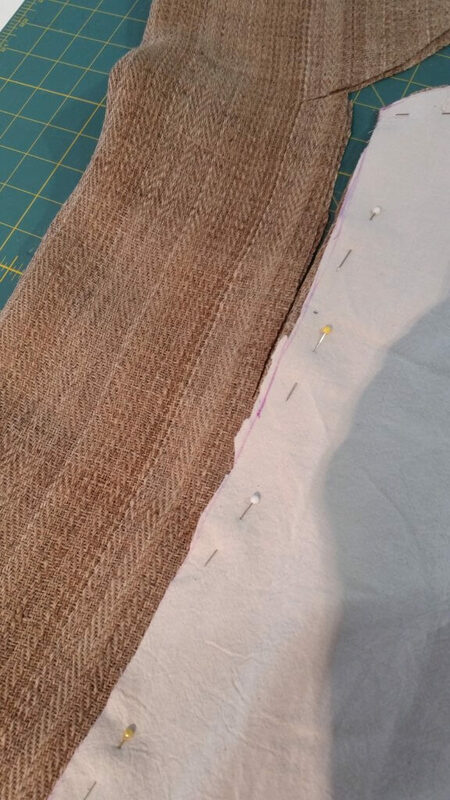 Start with the lining. 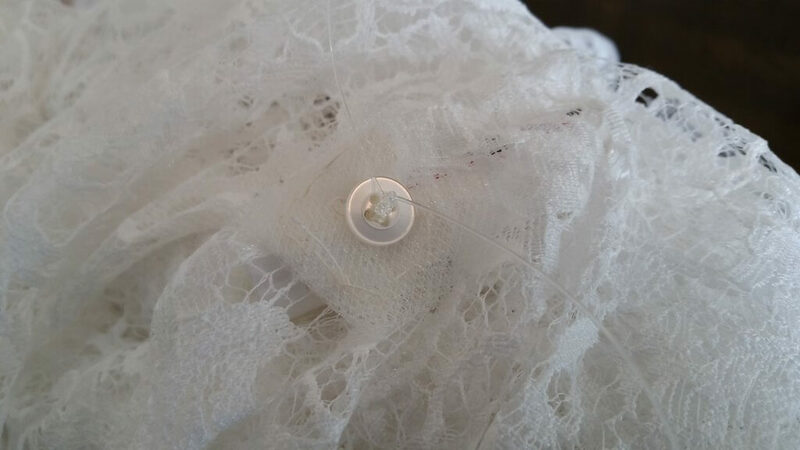 The lining bustle will be separate from the lace overlay bustle. 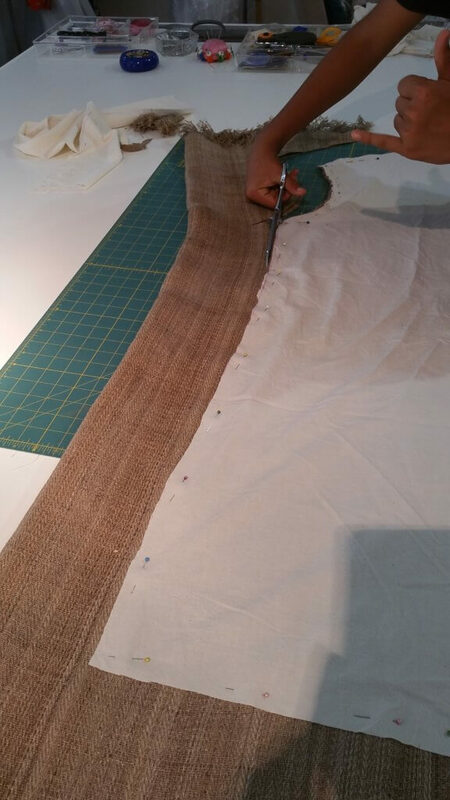 A 1-point bustle for the lining, using a heavy-weight hook and button. 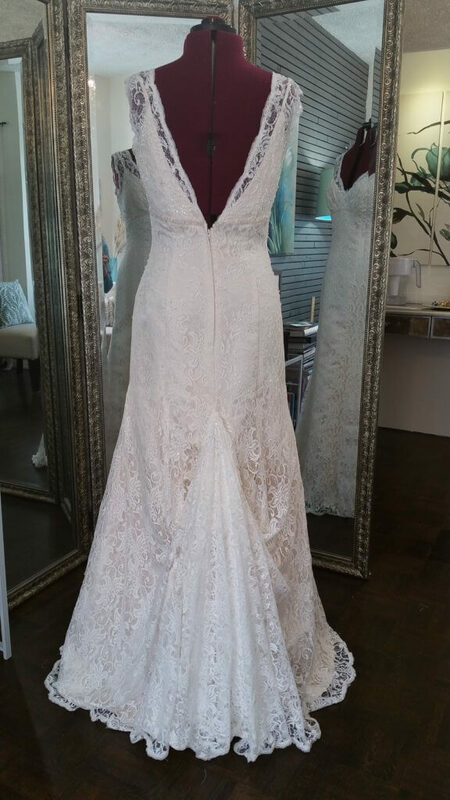 Then, for the lace overdress… a 3-point bustle. 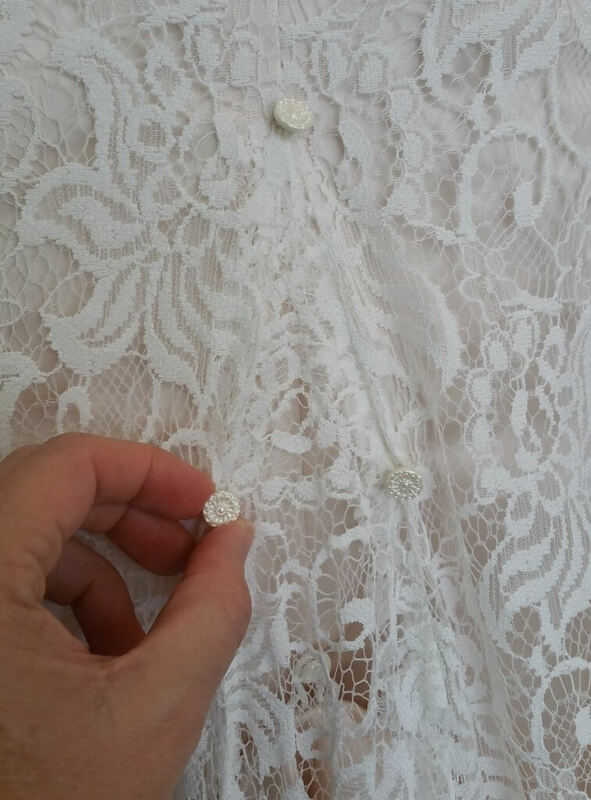 Sew three buttons onto the right spots. Then make three loops to match the buttons. 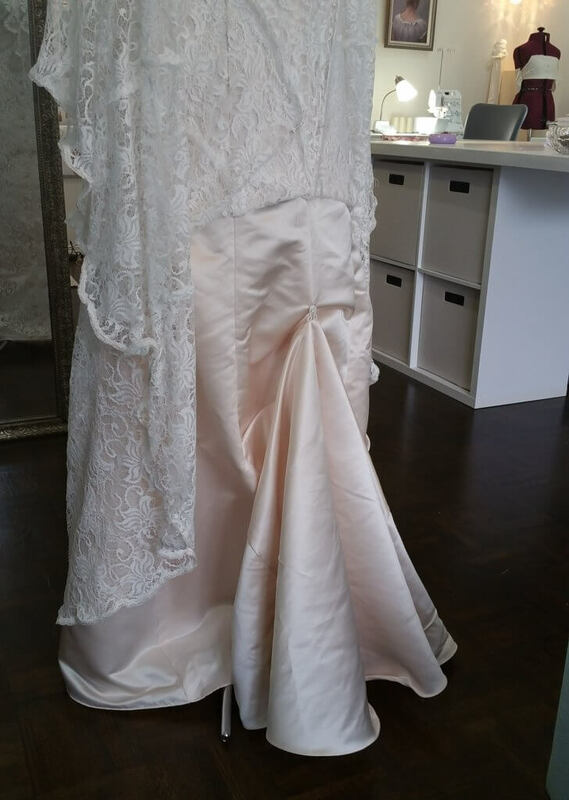 This photo shows the back side of the dress. The loop is secured with an extra piece of netting and a flat button. 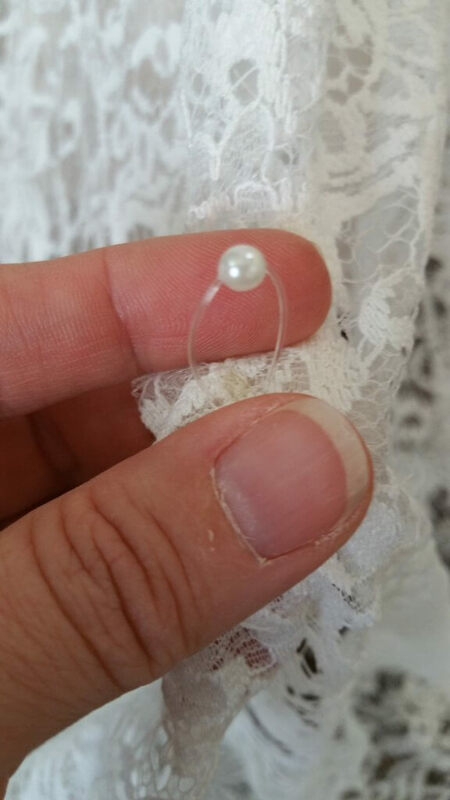 On the outside of the dress, you see the clear loop, with a small bead on it in order to help the bridesmaids find it easier. My goodness, I need a manicure! The hands of a dressmaker…! 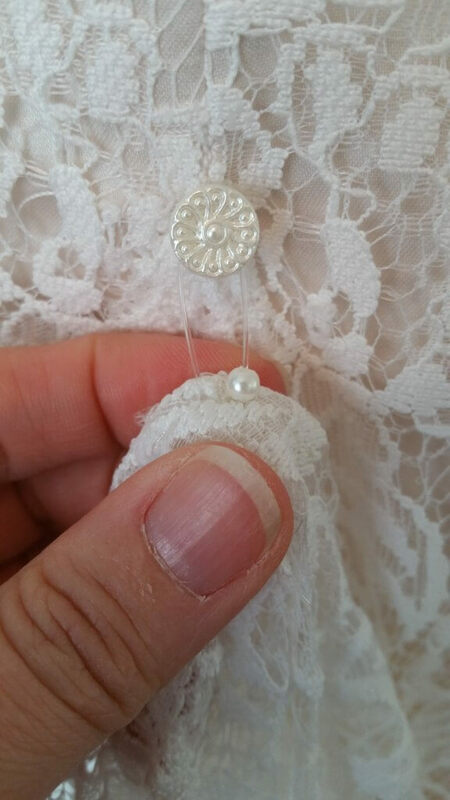 Then, the loop goes over the button on the outside of the dress. Voilà! A bustle! Now the bride can dance the night away! 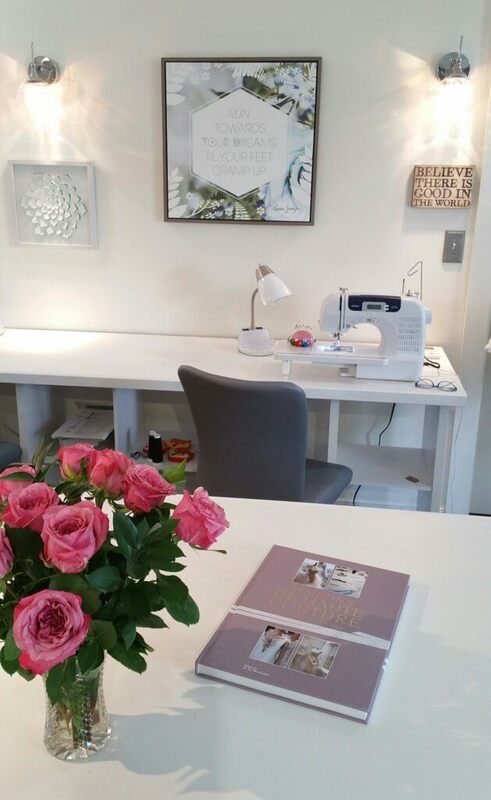 Sewing classes started in full force this week. 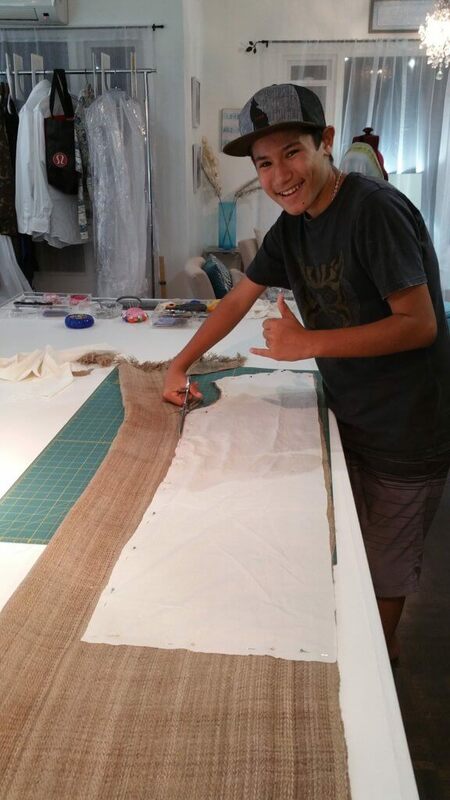 Saelyn, one of our teen students, is making a medieval costume. His fabric is very unusual, and so we are sharing it today. Thanks Saelyn! It is hand harvested wild nettle… from the Kulung Rai tribe in Nepal. Its botanical name is Girardinia diversifolia. A collective of women picks the nettle, and cooks it in wood ash overnight. Then it is soaked in white clay for a few weeks. Then it is soaked in Himalayan crystal salts. Finally it is hand-spun and hand-woven. It’s going to make a very strong, woody sleeveless hooded tunic for Saelyn! 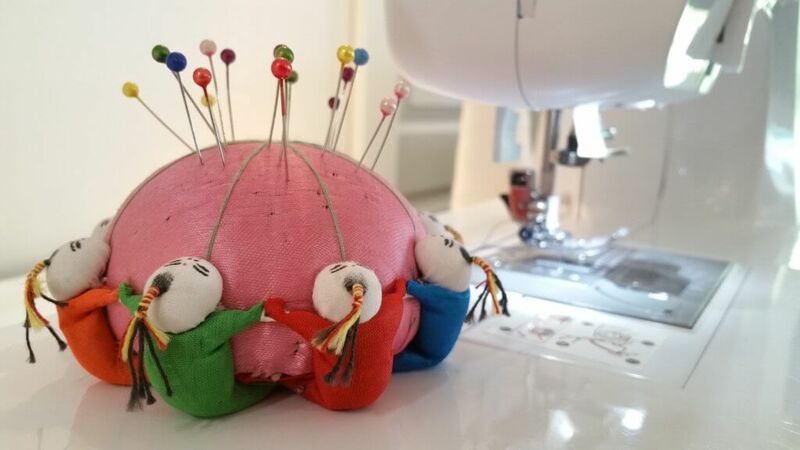 It’s time for sewing classes! 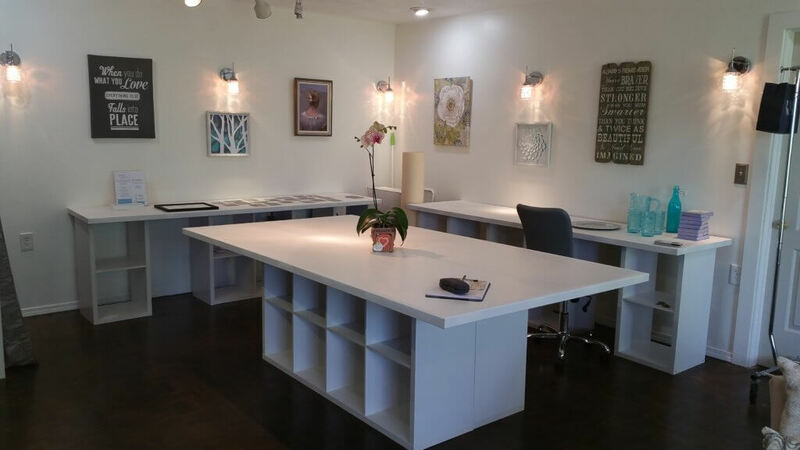 So, I’ve decided to offer both weekly classes in 6-week blocks, AND private lessons. In the future, I’d like to develop 1-day workshops happening on Saturdays, focusing on a specific project. And in May, I would LOVE to have a Fashion Show + Sewing Showcase for our students! I’ll be looking for a location and would love help and ideas from all the students. 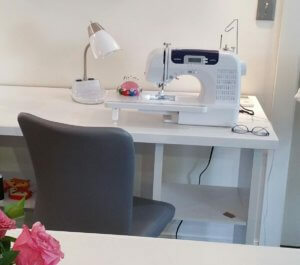 The sewing studio is open! Yahoo! 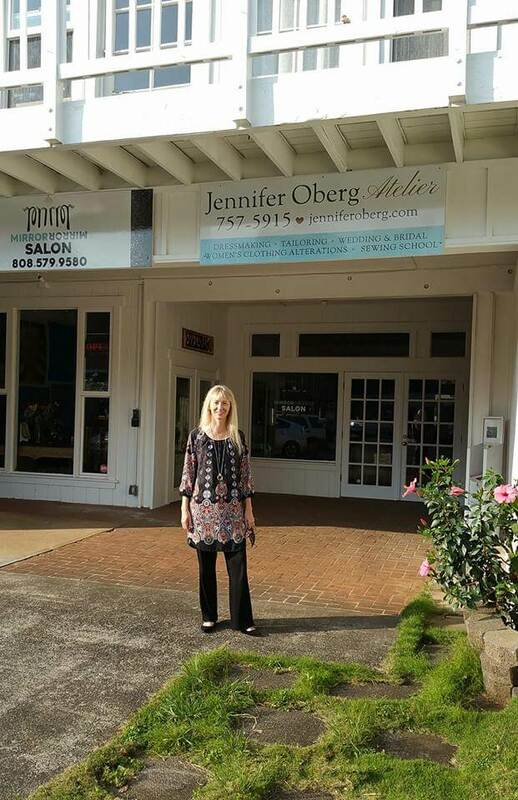 I’m so excited to announce that the sewing studio in Makawao is finally open! 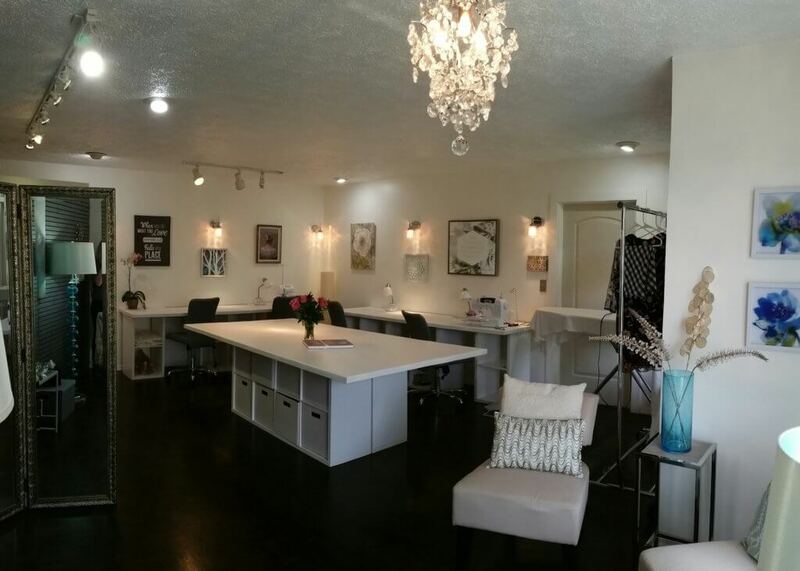 We had four client fittings this past week, and I look forward to more. 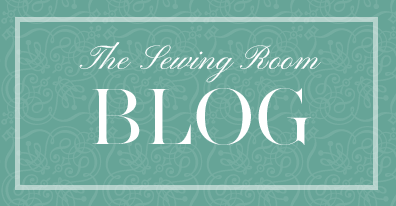 And…many of you have been asking about SEWING CLASSES! 🙂 I can’t wait to get started. I’ve been working on the structure of the classes. I want to make sure that students get personalized attention, as well as time to work on their projects. I’m almost ready to divulge the details! Stay tuned and watch your email if you are signed up for the newsletter! And tell your friends! I’ll post the info on my website, too. Have a wonderful day, and remember – you are AMAZING! You can make a difference in the world! Go for it!